Introduction Conducting research with children in low/middle-income countries (LMIC) requires consideration of socioeconomic inequalities and cultural and linguistic differences. Our objective was to survey the literature on informed consent in paediatric LMIC research, assessing for practical guidance for culturally and linguistically appropriate procedures. 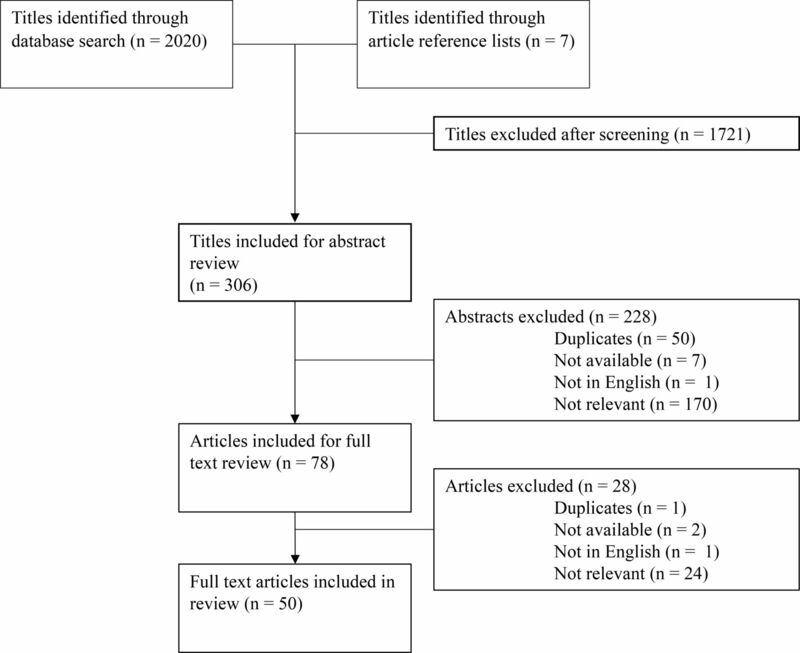 Methods We conducted a scoping review on informed consent in paediatric LMIC research searching the PubMed, Web of Science and PsycINFO databases. Eligible articles were published in English, from any date range, of any study design or format. Results The search identified 2027 references, of which 50 were included in the analysis following full-text review. Reviewed guidelines emphasised individual, informed and voluntary consent from parents and caregivers. Reviewed articles provided detailed practical guidance on adapting these guiding principles to LMIC settings, including considerations for community engagement, verbal or other alternative consent procedures for low-literacy settings or less commonly spoken languages and guarding against therapeutic misconception by caregivers. There was uncertainty, however, on how to best protect individual autonomy, especially when influenced by gender dynamics, leadership hierarchies or the social status of researchers themselves. There was, furthermore, limited research discussing the special case of research involving adolescents or of procedures for documenting assent by participating children. Conclusions A scoping review of paediatric research in LMICs revealed substantial guidance on several features of culturally appropriate informed consent. However, additional research and guidance is needed, especially in the areas of gender imbalances, research with adolescents and children’s own assent to participate in research. Conducting research with children in low/middle-income countries (LMIC) requires careful consideration of socioeconomic inequalities and cultural and linguistic differences. International standards for the conduct of paediatric research include informed consent, voluntariness and assent, but there is limited guidance on operationalising these concepts in LMICs. Highlighting consensus for best practices in community engagement, verbal and alternative consent procedures and guarding against therapeutic misconception in interventional and randomised controlled trial designs. Demonstrating where additional research i, especially around the protection of the individual autonomy of caregivers and safeguarding children’s own assent to participate in research. However, there still remains uncertainty around how best to implement international ethical principles of paediatric research in some settings. This is especially the case in low/middle-income countries (LMIC), and in research with groups such as indigenous populations, speakers of less common languages or populations with high levels of illiteracy. Practically, we experienced this recently while designing a clinical trial of a nutrition intervention for indigenous Maya children in rural Guatemala, and our experience navigating consent, literacy and translingual adaptation in this population prompted our interest in more formally exploring the topic.6 To this end, here we conduct a scoping review of the existing literature on cultural and contextual considerations for informed consent in the conduct of paediatric research in LMICs. Through this review, we identify evidence for specific culturally and contextually sensitive practices, as well as areas where additional research and guideline development is needed. To identify articles, we searched the PubMed, Web of Science and PsycINFO databases. We conducted searches using a combination of the following key terms: ‘pediatric’ or ‘children’ or ‘adolescents’; ‘research’ or ‘biomedical research’; ‘consent’ or ‘informed consent’ or ‘ethics’; ‘developing countries’ or ‘low income countries’ or ‘middle income countries’; ‘illiteracy’; ‘culturally competent’. We used no date limits and included all articles published through May 2018. In addition, we visited the websites of international health policy organisations to identify ethics guidelines for the conduct of research in LMICs. We also manually reviewed the reference lists of articles identified using the above methods. For this scoping review we included for analysis any type of study design or format (original research, commentary, case study, review, expert opinion), which addressed the informed consent process specifically for paediatric or adolescent populations in LMICs. Articles not in English were excluded. We exported identified articles into an Excel spreadsheet template which recorded location of study, study type and design, study context, aspects of informed consent examined and key findings. Both authors reviewed the study titles and abstracts. After removal of articles which were deemed not eligible for inclusion, one author (MC) performed a full-text review of all the remaining articles. As a scoping review to assess the patterns of existing literature on informed consent in LMIC paediatric research, assessments of individual study bias and quality were not performed. Data extracted from articles were collated in summary form (table 1–8), and major qualitative findings are presented in the following narrative synthesis. A total of 2027 candidate titles were identified through database searches, supplemented by reference list and website reviews. Of these, 1721 did not meet eligibility criteria, and 306 were included for abstract review. If the abstract was not available but full text was, the title was included for full-text review. After abstract review, 50 duplicates were found, 1 was not in English, 7 were not available (abstract nor full text) and 170 abstracts did not meet inclusion criteria. Seventy-eight articles were selected for full-text review, of which 24 subsequently did not meet inclusion criteria, 1 was in French, 1 was a duplicate and 2 did not have available full text. Therefore, 50 full-text articles were included in this review (figure 1, table 1–8). Of the articles excluded at the abstract and full-text review stages, the most common reasons for exclusion were: no mention of the informed consent process for research with paediatric or adolescent populations; research not taking place in an LMIC; and articles on paediatric research in LMICs that did not discuss the informed consent process. Results of literature screen. Flow diagram depicting results of the literature search and review procedure. Existing published work on informed consent in paediatric research in LMICs includes a number of review and opinion articles (table 2) as well as case studies describing the experience of individual research teams and discussing the challenges and solutions used when adapting consent processes to their local context. We summarise several major themes emerging from these studies here in narrative form and provide detailed key findings from the reviewed articles in the accompanying tables. It is important to note that most discussions of gender dynamics that we reviewed were limited in nuance, tending to focus on instances of overt over-riding of female decision-making by male authorities. A broader consideration of the range of ways in which female caregivers communicate, influence and negotiate decision-making with male family members and other community authorities is an obvious point for future investigation. Through a scoping review of research reports and case studies from LMICs, we identified, however, several core areas where existing research reports provided considerable insight and operational guidance which could be used to guide informed consent design processes in additional LMIC settings. These included: (1) careful consideration of community hierarchy, where consent for research may first proceed through a council of elders or other authority figure, prior to approaching individual caregivers; (2) guidance on developing verbal consent procedures in settings where caregivers have low literacy levels; (3) recognition of the challenges of consent in indigenous or less commonly spoken languages, particularly when that language is not commonly written and where alternative procedures, such as audio recordings in the language, must be employed; and (4) careful consideration of the possibility of therapeutic misconception and of developing consent procedures that ensure caregivers’ comprehension of the potential benefits (or lack thereof) and risks of research procedures for their children. However, within these four broad thematic areas, we also noted the need for additional careful investigation. In particular, there is considerable uncertainty on how to ensure the principle of subsequent individual informed consent when community leaders or other authorities are approached first. This is especially the case when gender power imbalance is at play, and female caregivers may be either unempowered to consent or to opt out of a research decision made by a male authority. In addition, the social status of individuals administering or witnessing consent procedures may unduly influence the decision-making of caregivers, and research is needed to better understand and accommodate for the interpersonal dynamics of obtaining consent. Finally, two thematic topics seem to be particularly under-represented in the literature on paediatric LMIC research, and more work is urgently needed. First, despite extensive discussions about the difficulties of conducting research with adolescents, we found only few studies with practical discussions or guidance on how to navigate these difficulties. More investigation of the ethical conduct of research with adolescents is needed, with a broader representation of health conditions, research designs and geographic regions. Second, despite strong representation of the principle of assent in international guidelines on research with children and adolescents, we found little research on cultural and regional differences around notions of assent and virtually no discussion of the mechanics of assessing assent in research studies. Additional research into the topic of assent for research among children in LMICs should be an important priority. Our review has two important limitations that must be considered. First, we included only articles published in English in major indexing databases. We believe this approach is justified, given our desire to provide a high-level overview of the topic without focusing specifically on any geographic region. Nevertheless, our review has undoubtedly missed resources in other languages or within the grey literature, which could be taken up in more detailed region-specific work on this topic. Second, given the diversity and heterogeneity of the literature reviewed, it was not possible to detail many of the practical insights and tips given in the individual articles. Nevertheless, given the annotation and thematic organisation provided in the tables, we are confident that readers will be able to identify areas of particular interest for more in-depth examination. We thank the research subjects and clinical staff at Maya Health Alliance for inspiring our interest in this important topic.
. Human experimentation. code of ethics of the world medical association. declaration of helsinki. Br Med J 1964;2:177. Council for International Organizations of Medical Sciences (CIOMS). International ethical guidelines for health-related research involving humans. 4 edn. Geneva, Switzerland: CIOMS, 2016. World Medical Association. WMA Declaration of Helsinki - ethical principles for medical research involving human subjects. 1964. https://www.wma.net/policies-post/wma-declaration-of-helsinki-ethical-principles-for-medical-research-involving-human-subjects/. European Commission. EU Directive 2001/20/EC. Off J Eur Communities 2001:1–15.
. Beyond informed consent. Bull World Health Organ 2004;82:771–7.
. Medical device research in resource-poor settings: a pediatric case study in Ghana. IRB 2014;36:1–7. Contributors MC designed the search strategy, extracted data from articles and wrote the first draft of the manuscript. PR conceived the study, reviewed abstracts and revised the manuscript.